Media/Slideshows - Awakening Birth Now! Karen & Bill debated for months whether to labor in a hospital or in the comfort of their bedroom. 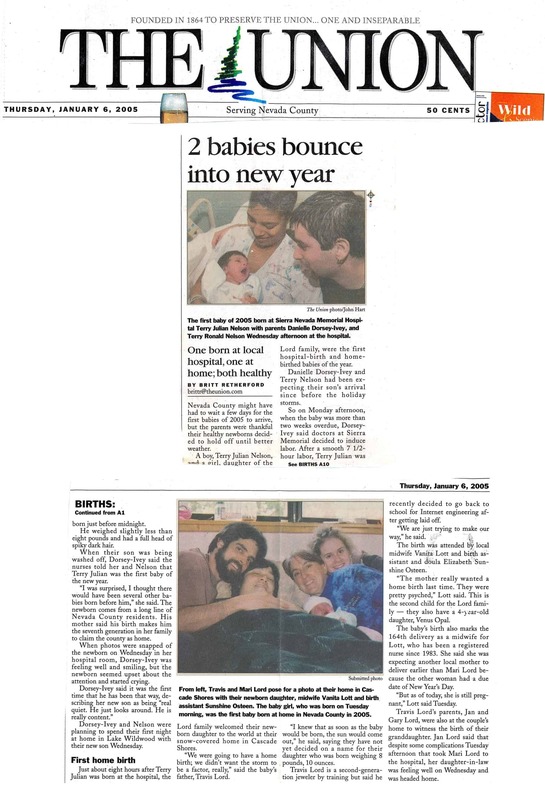 They were thrilled with their first home birth and went on to have their son Brayden with the In-Home Birth Center also. They are now home births biggest fans. 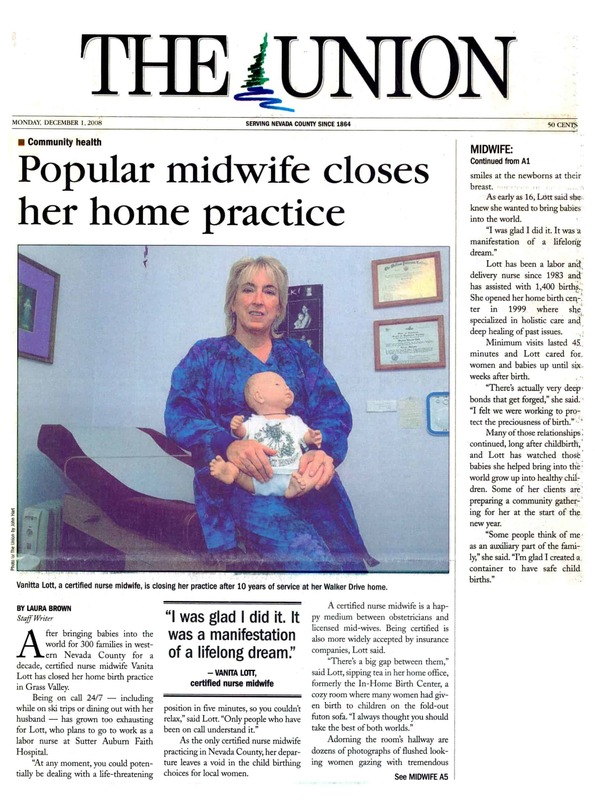 This photo documentary of Vanita’s former professional Nurse-Midwife home birth service was modeled after the practices in other countries that boast better birth statistics than the U.S.
A detailed holistic birth & sibling prep video. This couple gave birth in this historic B&B to be closer to town. We discovered after Phoenix’s birth that the B&B had been our town’s first hospital! Pam Rowen-Herzog of Northern California shares her intimate experience of coming more and more fully into her personal power and trusting her intuition through her journey of 3 pregnancies and births. With our guest, Vanita Lott, we’ll be examining the Unnecessary Cesarean Epidemic, the need to focus on more health and wellness in maternity care, dangers of the over-use of technology in birth, some side-effects/dangers of epidurals, the need to remain flexible about birth plans, and Vanita’s best recommendations for a holistic birth! In the early 17th century, the invention of forceps was a great advance for childbirth and gratefully saved many women’s and babies’ lives. As doctors became more involved with birth they began to interfere with normal labors. The medical profession has a financial motivation to exaggerate dangers and increase women’s anxiety during prenatal care and in the birth room. How our unbalanced medical approach to birth leads to our high Cesarean rate. 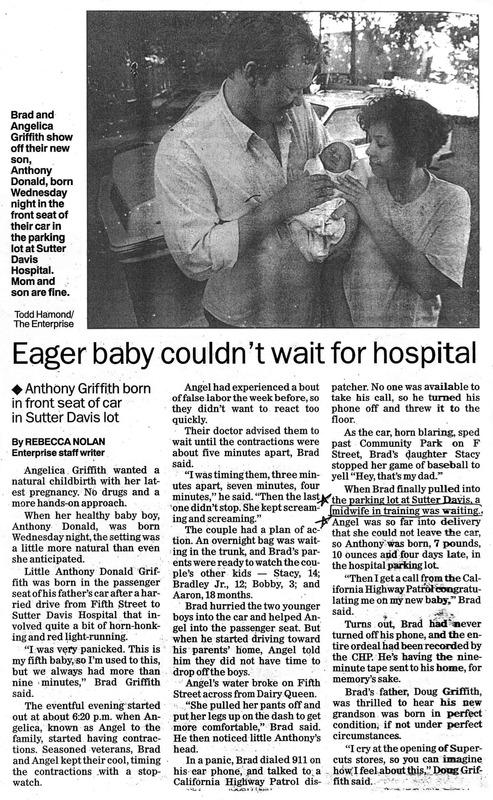 The majority of U.S. hospital births are happening today during normal business hours. Don’t Panic, if Your Food’s Organic! Consuming non-organic foods in pregnancy have been associated with more miscarriages, birth defects and even stillbirths. Learn the “Dirty Dozen” foods that carry high pesticide levels and the “Clean Fifteen” that are less important to eat organic. The routine use of electronic fetal monitors as well as other birth technologies in normal pregnancy are not scientifically sound and fetal monitors are well-known to to make “Unnec-Cesareans” skyrocket. Don’t Push! The Doctor’s Not Here! It is not unusual for nurses to tell a woman not to push because the doctor hasn’t arrived yet. Women think this is because the baby would clearly be in danger. It is professionally advised in nursing textbooks that this should never be done. A Nurse-Midwife tells about a physician admitting he is concerned if he misses a birth because a woman once refused to pay him! Cell phone and EMF radiation needs to be further researched to understand their affect on pregnancy and babies in the womb. The U.S. 120 year experiment of having doctors, who are also surgeons, be the primary birth attendants of healthy women with healthy pregnancies, has been a leading cause of our dangerous epidemic of Cesareans. 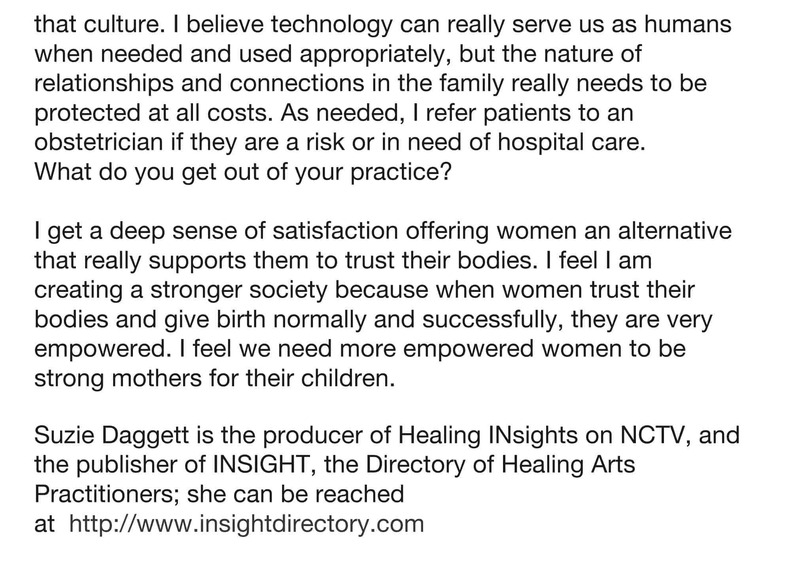 Article about Awakening Birth Now, the Transformational Holistic Pregnancy Coaching Business. 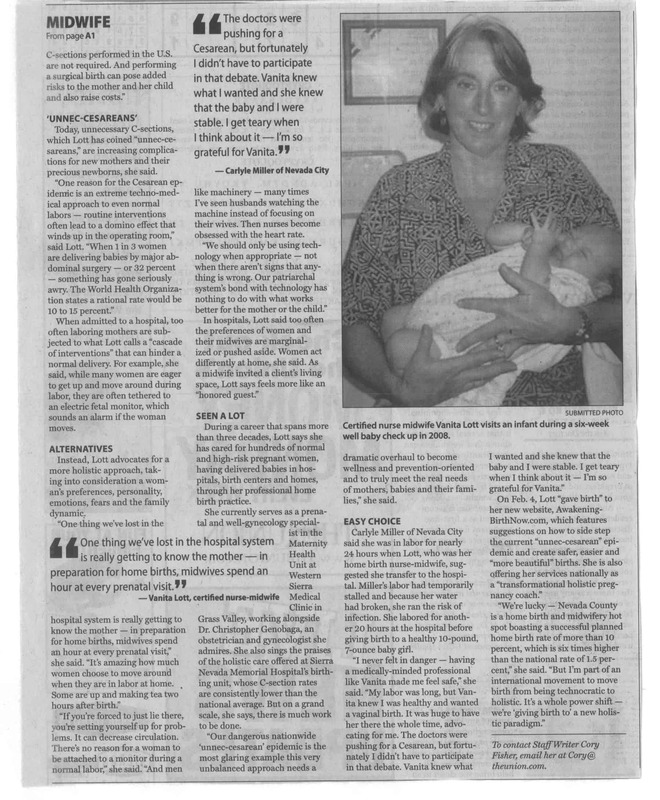 Article about Awakening Birth Now, the Transformational Holistic Pregnancy Coaching Business continued. 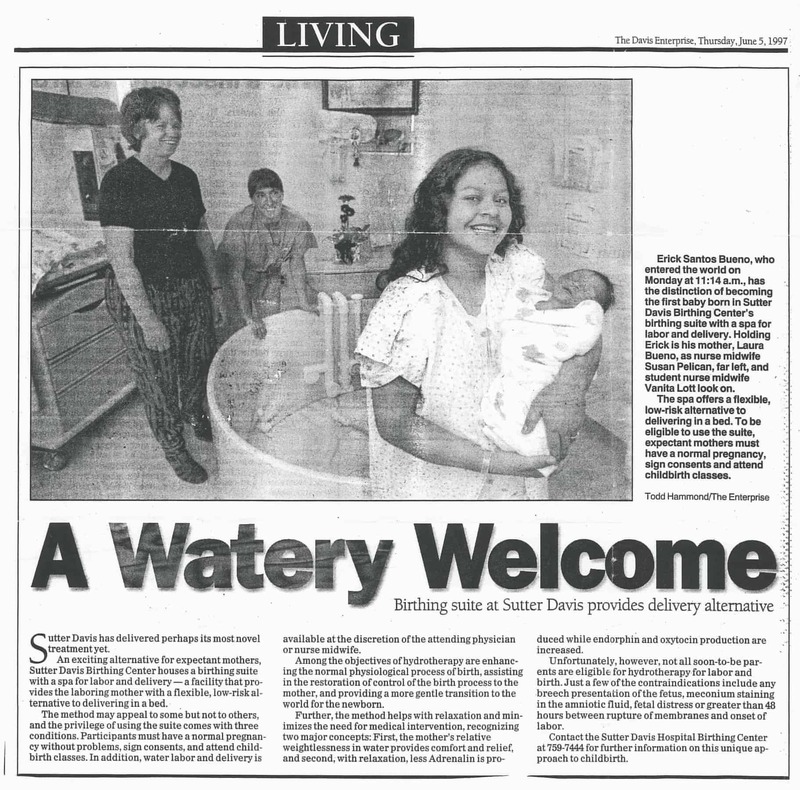 Vanita as student midwife and her preceptor Susan Pelican CNM attended the first baby born underwater at Sutter Davis Hospital.